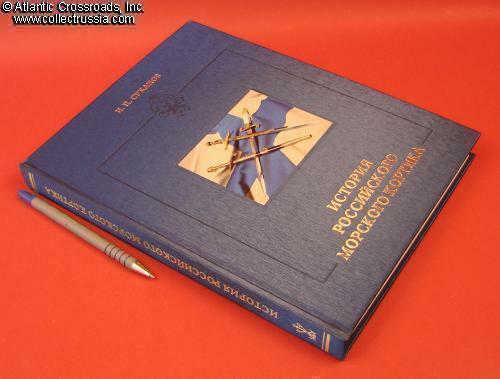 "History of Russian Naval Dagger". 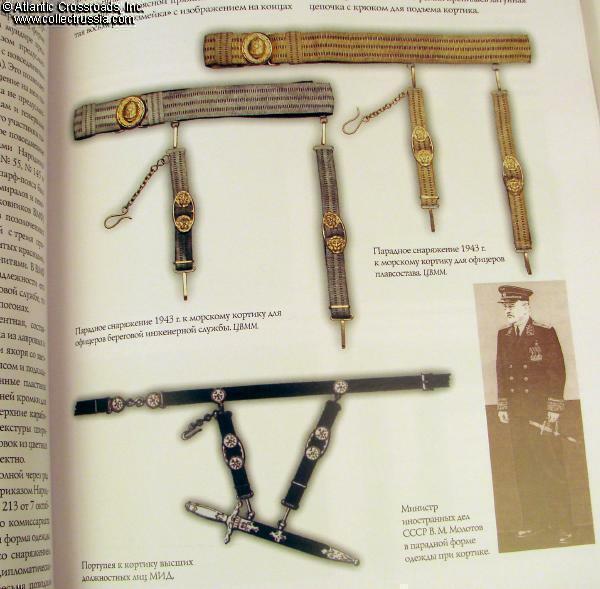 "History of Russian Naval Dagger". Igor Sukhanov, C. 2007, St Petersburg. 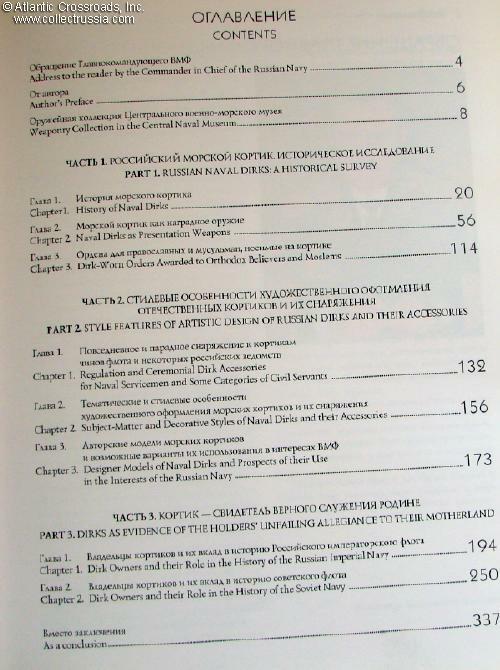 Russian text with English index. 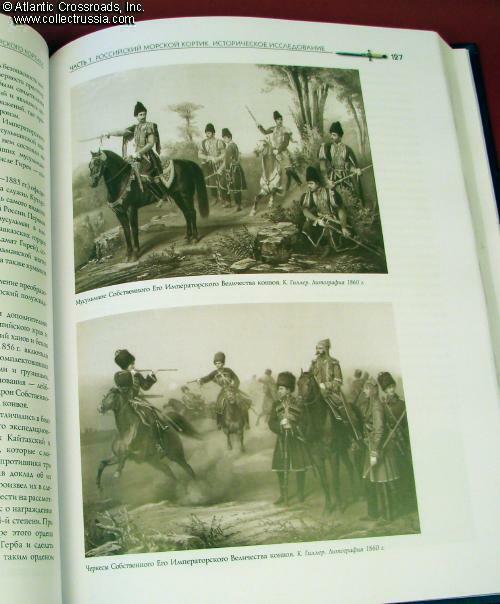 Hard cover, 343 pp, high gloss paper, massive format: 8 ½ " x 11" x 1". 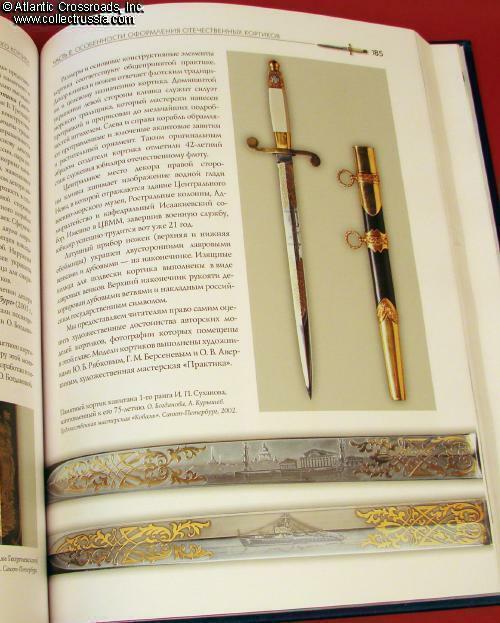 This magnificent, luxury edition is lavishly illustrated with hundreds of high quality close-up photos Although similar in appearance to the previous book by Sukhanov, "Highlights of the Weaponry Collection in the Central Naval Museum", it even surpasses the latter in quality and content. 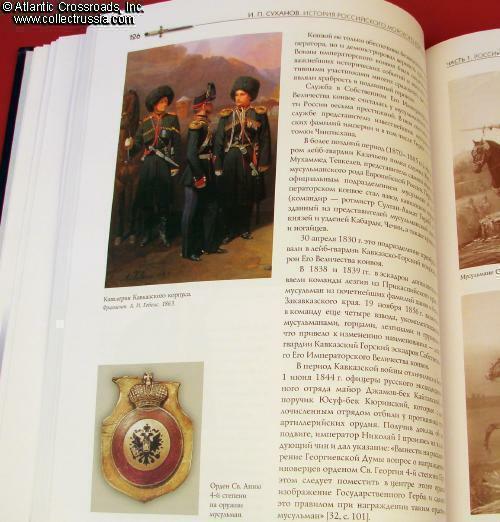 The examples represented in this catalog came from some of the top private and museum collections. 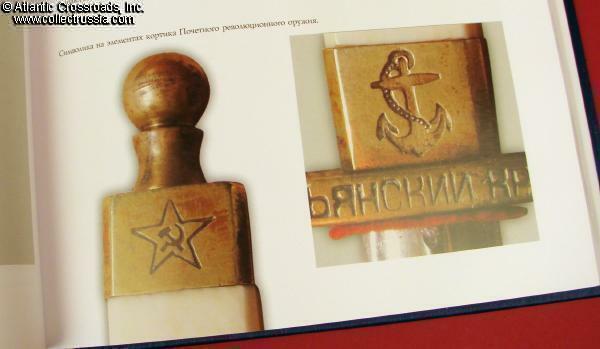 Of special interest are many high level award dirks that have not been published previously. 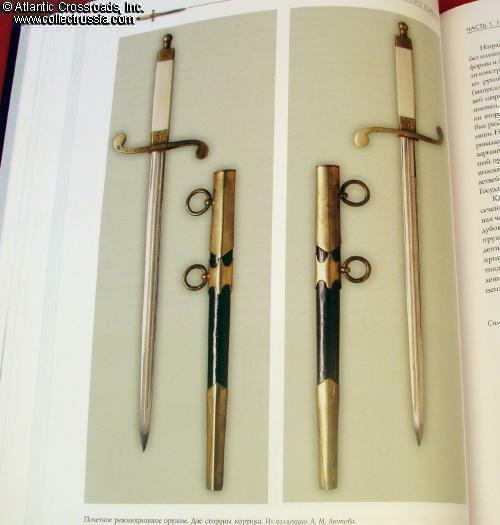 The book includes interesting narrative explaining the circumstances leading to the awards, paintings and photos of the recipients and, in many cases, complete lists of recipients of award daggers for a particular battle or a campaign. 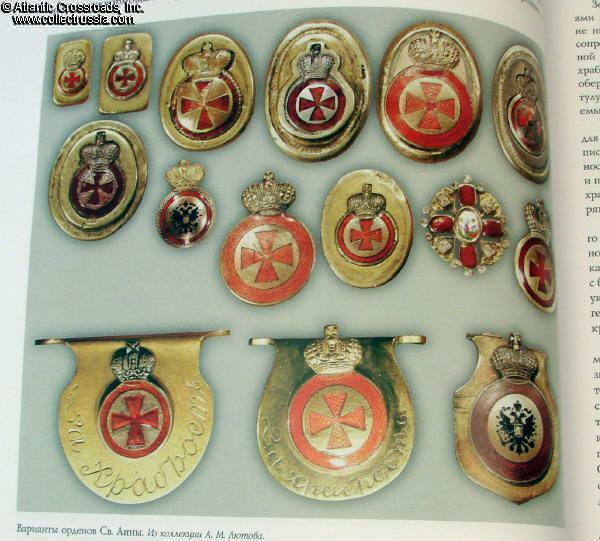 Although dealing extensively with high level awards, the book also shows regular issue dirks as well as correct accoutrements - belts, buckles, hangers - for each type or period. 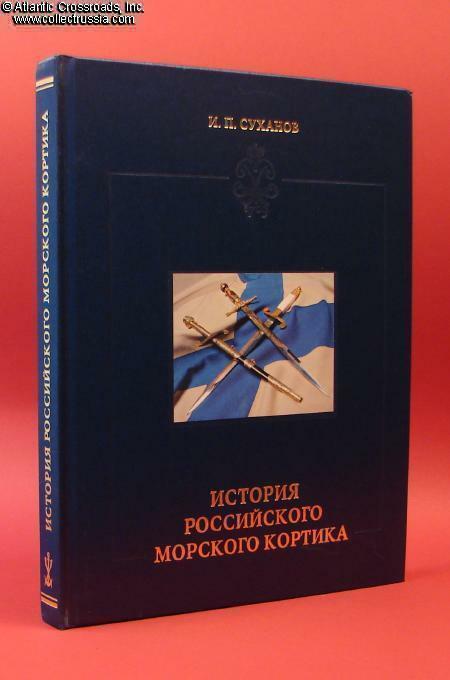 Despite its title, the scope of the book actually goes beyond naval daggers: it also includes many daggers of other services and civilian agencies, such as Imperial motorcycle units, Soviet Ministry of Railways etc. 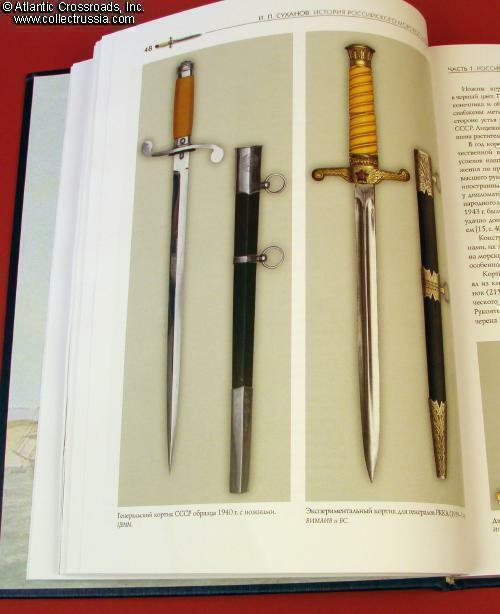 Additionally, there is a big chapter on current, privately made Russian presentation daggers. Shows minor corner bumps, otherwise in mint condition with no noticeable shelf wear to the cover.